Represented Fortune 500 company in franchise dispute against franchisor, which went to a jury trial. Represented private equity company in dispute over control, which went to arbitration hearing. Represented accounting firm in accounting and breach of fiduciary disputes with former partners. Represented companies in disputes with software developers over nature and quality of software, as well as full access to software functionalities. Represented company against former investment banking firm and former auditing firm for fraud, malpractice and breach of contract. Represented companies in commercial collection actions. Represented financial institutions in suits by consumers alleging violations of federal and state laws. Represented municipality in defense of 42 U.S.C. § 1983 brutality claims, as well as state law claims, which went to jury and bench trials. Represented minority ownership interests in attempted (failed) squeeze-out, which went to a bench trial. 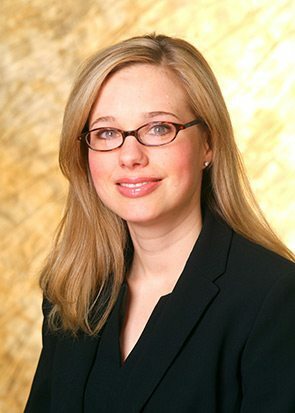 Elizabeth is a member of the firm's Blockchain, Cryptocurrency and Electronic Transactions Group and Cybersecurity Team and represents clients in litigation involving electronic signatures and electronic contracts, as well as advising clients on cybersecurity compliance, incident response plans, employee training, vendor/third party risk, company policies and procedures, and in the event of a breach, incident response. She earned her CIPP/US certification to become a Certified Privacy Professional. Elizabeth represents large and small companies and individuals, including automotive dealers and manufacturers, homeowners associations, franchisors and franchisees, investment banking firms, lending institutions, accounting firms, employee benefits firms, and municipalities. Elizabeth represents both plaintiffs and defendants in a broad array of business and personal disputes. She is licensed in all federal and state courts in Alabama and Mississippi. She also is a member of the firm’s Diversity Committee.